These paper pinwheels are formed from a square of paper. 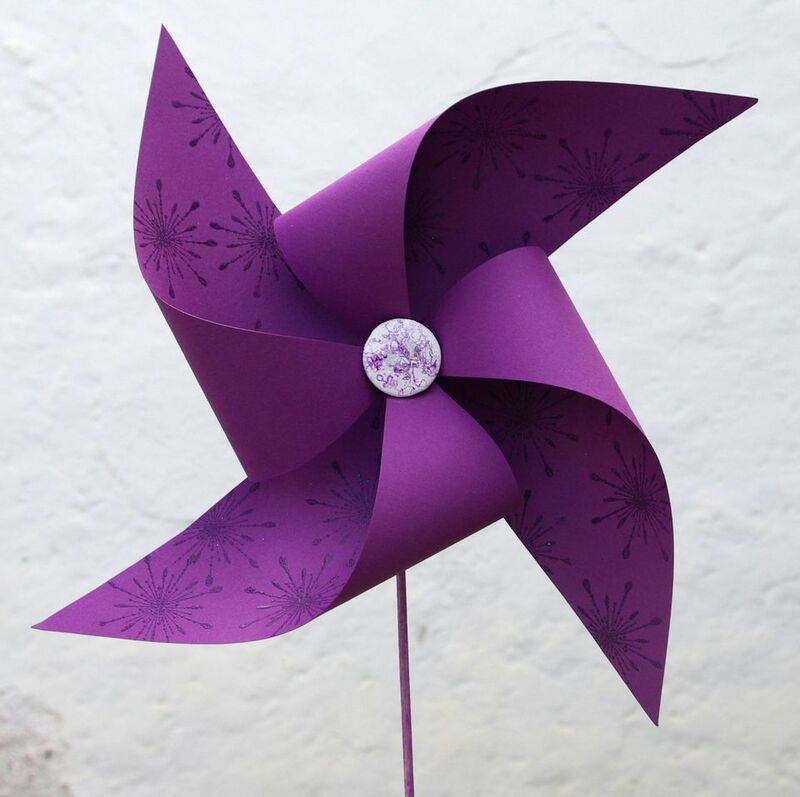 They are so simple to make and the size can be adjusted to make large and small pinwheels or windmills. Add rubber stamping to the front and back as required! Rubber stamps, inks, embossing powders and any other embellishments as required! Attach the pinwheel to a stick and enjoy! Tip: Rub an ink pad over a wooden stick to coordinate with the colors of the pinwheel.